Protest songs by Woody Veneman combined with the visual art of Dirk Serpinski. An artist that uses non-political images of Putin in his art to create what he has baptized Putinism. 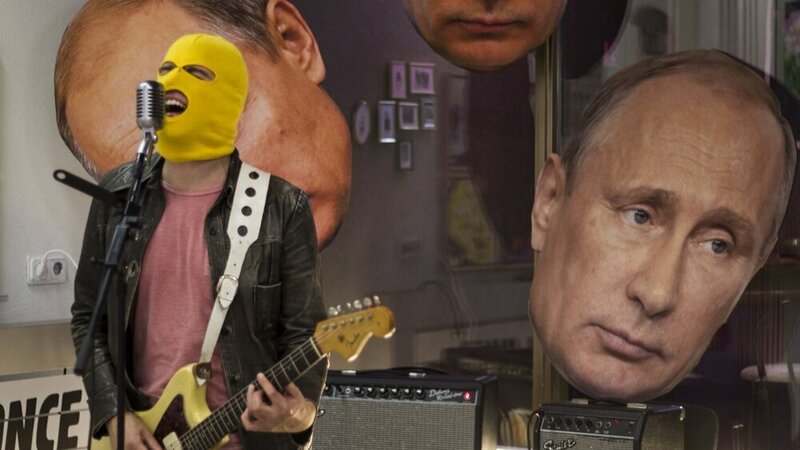 After an exhibition in DOIOING shop, where Woody performed live against a background of enormous blow ups of Putin’s face, the two of them decided to bring this together into a larger audiovisual project.